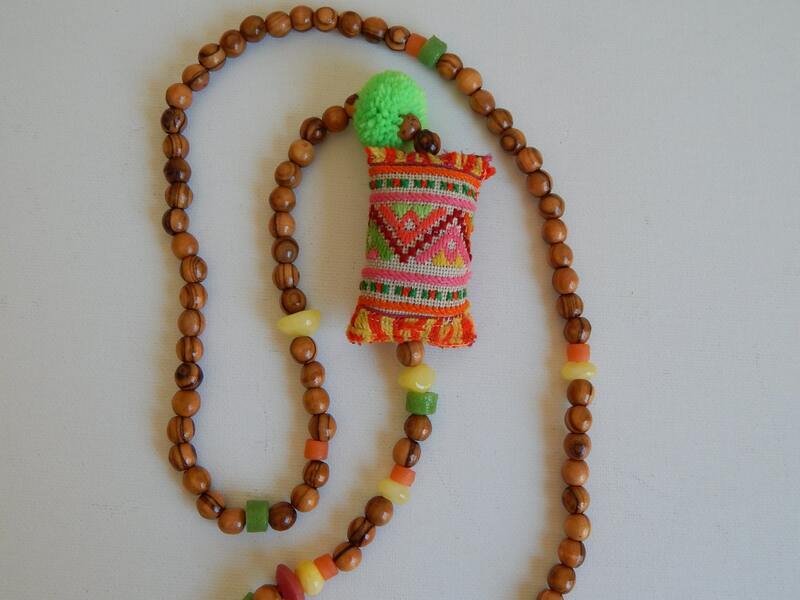 A necklace of olive wood beads is accented with various semiprecious beads, brightly colored african sandcast beads and a lovely embroidered Hmong pillow with a neon green pompom. 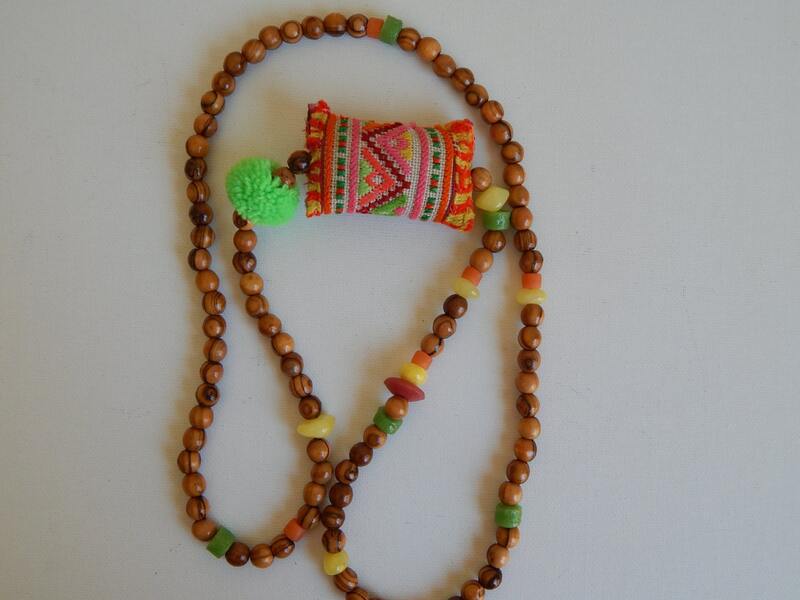 A bright and colorful necklace that is perfect for the summer and will add a bright pop of color to your outfit. 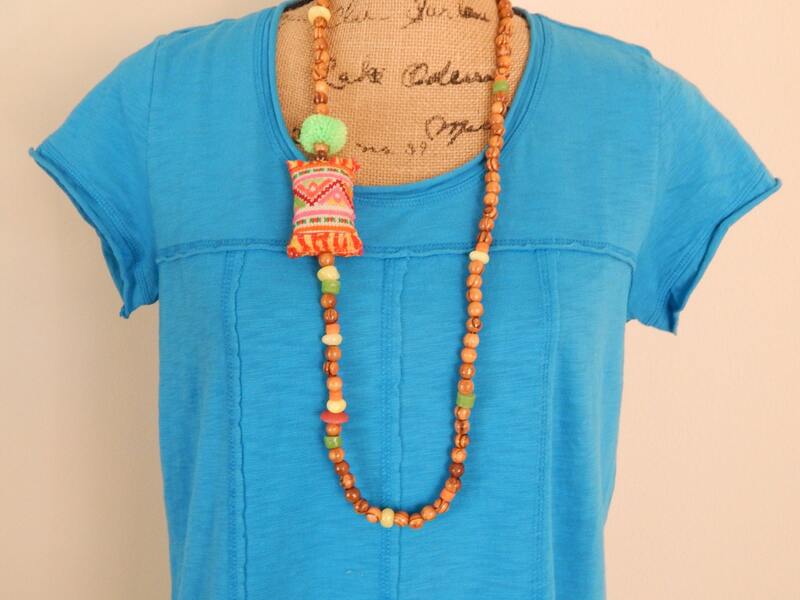 Wear alone or layer with others from my shop for that perfect summer bohemian look. 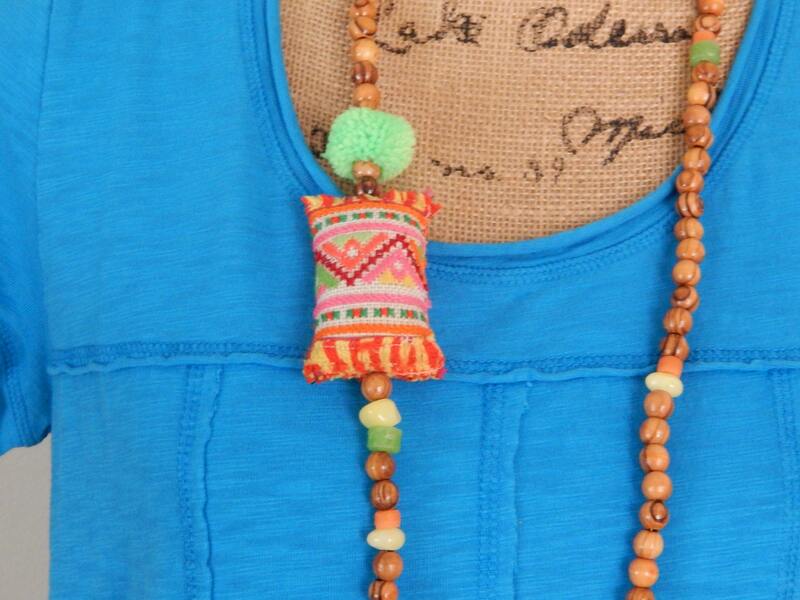 Necklace measures 36 inches long, the Hmong pillow is 2.5 inches and the tassel is 3.5 inches and pompom is 25mm. 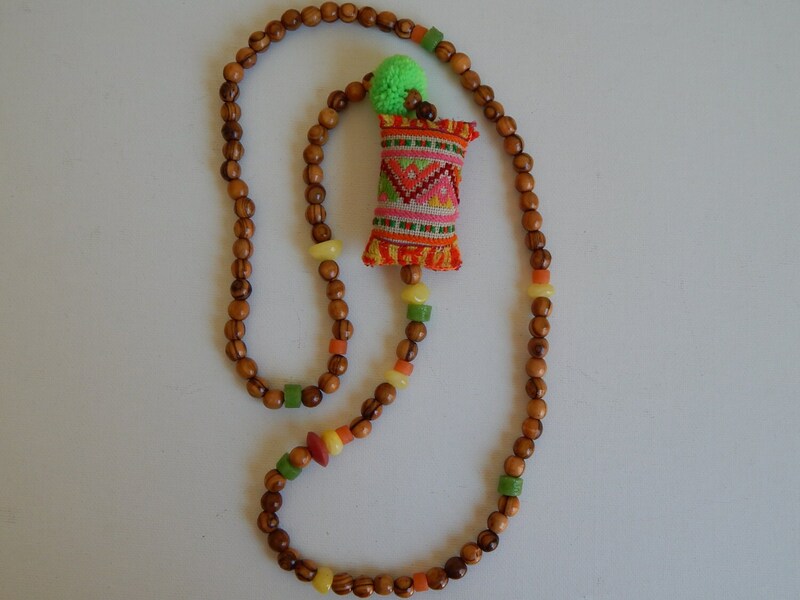 Beads are 8mm olive wood beads.